The list of highly-anticipated 2012 models from Jordan Brand is continuously growing and the latest to hit the list is the new colourway of the Air Jordan 4. This well-received silhouette is scheduled to be released in White/Black-Tech Grey colourway dubbed as the Air Jordan 4 “Cement” and will come out early this year. 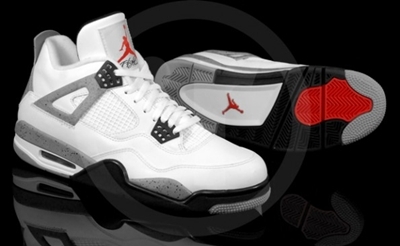 The shoe is made of white leather on the upper part with the cement accents applied on the midsole, heel, and top lace. Make sure to grab one because you will surely get your money’s worth!